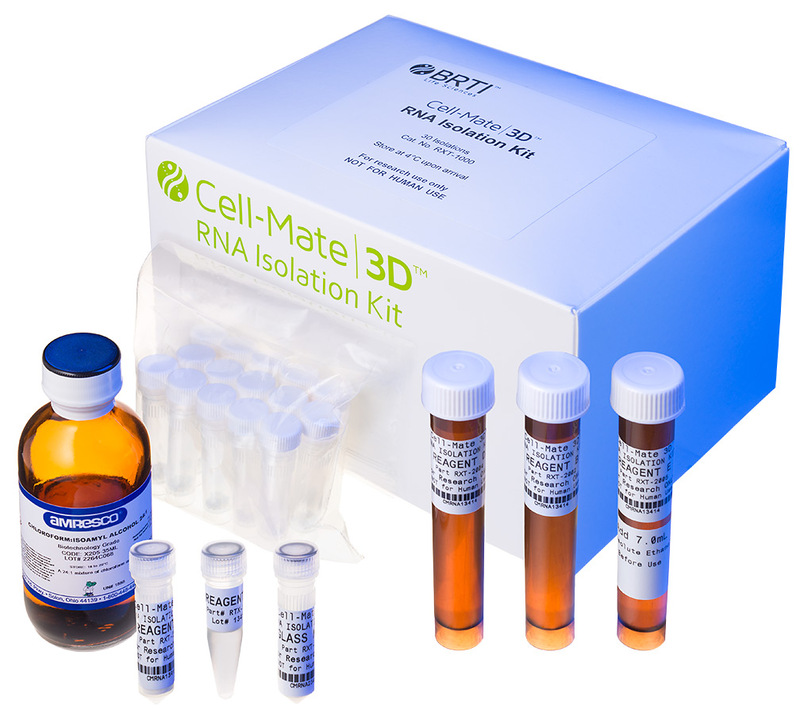 Cell-Mate3D™ has unique chemical and physical properties such that common RNA isolation kits are not suitable for RNA extraction. 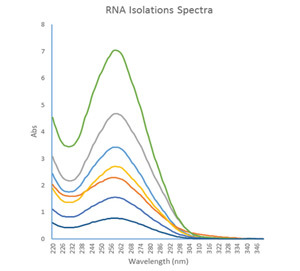 Nanodrop spectra of isolated RNA from 7 individual Cell-Mate3D™ samples with Varying cell densities. The total RNA yield represented range from 1.8ug to 16.8ug. q-RT-PCR amplification plot demonstrating GAPDH expression. 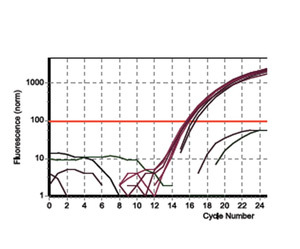 RNA was isolated from Cell-Mate3D™ Cultures and converted to cDNA. 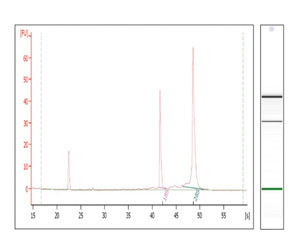 200ng of cDNA per well was used in each q-RT-PCR reaction. Technical triplicates were performed. Average CT value was 15.5.